Mr. Awal was Born on 1st June 1947 in the Village of Doleswar, P.S �Keranigonj, Dist. � Dhaka, Bangladesh in a Muslim family. His family has an outstanding history of business & industry. Educated in Dhaka, the Capital of Bangladesh and graduated in Science from the University of Dhaka known as the Oxford of East and also the oldest & greatest Alma Mater of Bangladesh. Later on he obtained higher education in Advanced General Management from Germany with the scholarship of German Government. Mr. M. A. Awal proved his entrepreneurial ability in childhood while working in his father�s Foundry and later on transformed it into one of the leading Foundry & Steel Industry. Thereafter, he has devoted in expansion of industries one by one in the field of textile & other sectors under the banner of Prime Group considering the need of the days. The object of the group is to develop the country by setting industries and thereby elevate poverty through employment generation. Mr. M A Awal is the promoter of a private sector bank and an insurance company. He is also a Founding Member of the first private sector university �North South University. This university is a world class Alma Mater running very well. He was the Chairman for two terms in the Board of Governors of the University Foundation and also Chairman in the Board of the Bank. He is a life member the Board of Governors of North South University Foundation and North South University Porichalona Porshad. He has been in the Executive Committee of various Association & Trade Bodies such as Metropoliton Chamber of Commerce & Industry, Bangladesh Textile Mills Association and active Member of Dhaka Chamber of Commerce & Industry, International Chamber of Commerce, Bangladesh Commerce & Industry. 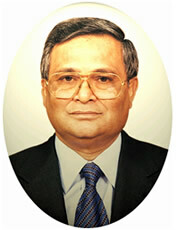 He was the Chairman of Bangladesh Textile Mills Association and Director of The Federation of Bangladesh Chambers of Commerce & Industry. Mr. M A Awal has played a leading role to declare the textile industries of Bangladesh as �Thrust Sector� by the government of Bangladesh and also took pioneer role to develop this sector. He has set-up Prime Composite Mills Ltd., the first export oriented textile spinning mill to develop the backward linkage facilities for Apparel & Knit Garment sector. This mill obtained the first Gold Trophy in recognition of its contribution to the export sector. This company also received another Export Trophy in 2001 for outstanding export performance. Mr. M A Awal is a benevolent philanthropist. He was associated with the Lion movement of the Bangladesh. He has Set-up School, College, Hospital, Maternity Centre, etc. and has been contributing regularly to various Mosque & Madrasha for Islamic Education. Mr. M. A. Awal has two sons & two daughters. His eldest son, Md. Abul Bashar, was graduated from USA and now actively engaged in the business of Prime Group as DMD.